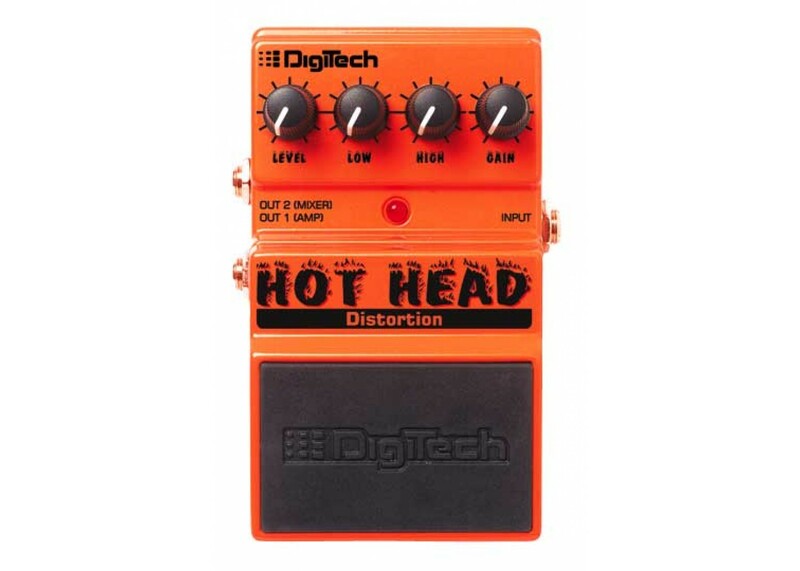 The DigiTech Hot Head Distortion pedal is a multi-purpose tool for any music style where distortion is needed. 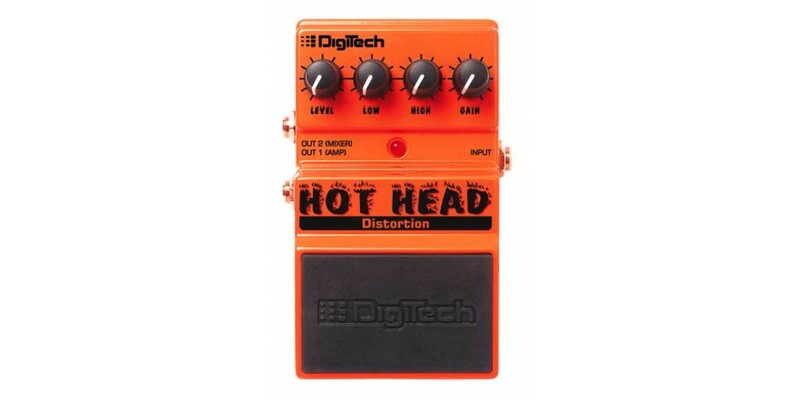 Armed with flexible Low, High, and Gain controls, the Hot Head can dial in just the right tone for your setup. If you just want a little dirt or you need your amp to sound like a full stack, the Hot Head lets you rock with the best. Level controls the distortion output level of your guitar signal. Low adjusts boost and cut of bass frequencies. Gain provides mild to hot tube amp distortion. Dual Outputs. The Amp output is for connecting directly to a guitar amplifier. The Mixer output's Cabinet Emulation circuitry lets you connect directly to a mixing board or recording device without having to mic up an amp.